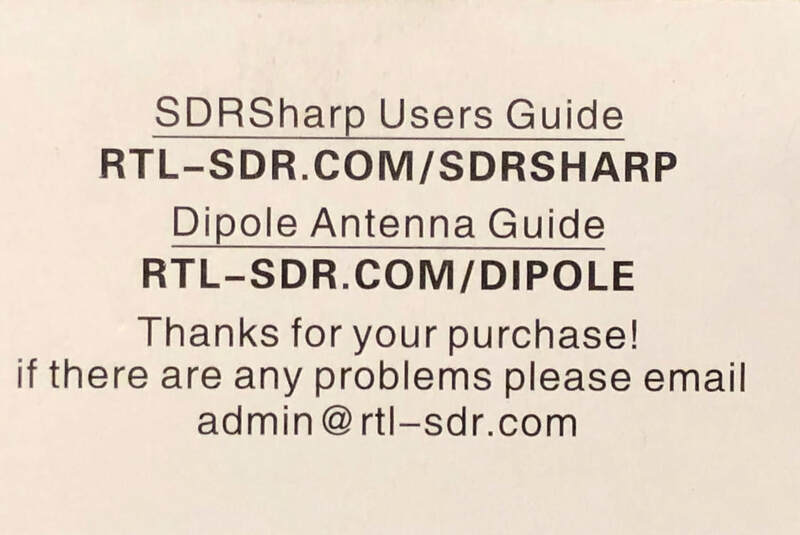 After my recent e-mail to the Club I feel there is enough interest in SDRs (software defined radio) to form a group to share experiences. I'm looking for someone to lead the project. General plan for the group. Members will purchase an RTL-SDR (RTL2832U R820T2) or similar unit on line for about $22. They may want a SMA/UHF or SMA/BNC antenna connector. There are options available from rigid one piece adapters to flexible cables with the appropriate connectors. I bought a pair of 6" adapter cables for $7 on line. I like using a 6" USB extender cable between the unit and the computer to ease physical strains on the connectors. I bought ten of then on line and and will offer the excess to those first requesting one. Software is downloaded on line for free. An SDR radio essentially takes a range of the radio spectrum and passes it to the computer to process. The results are amazing. This particular dongle will work from below the AM broadcast band up to a gigahertz decoding AM, WFM, NFM (repeaters, etc.) SSB, CW. Uses for the radio are many. You can do a lot with it such as just listening to FM broadcast, having a spectrum analyzer, SWL or go portable for interference locating or transmitter hunting. This project does not require construction. It is reasonably inexpensive. It is a good introduction to a new technology. I plan to create a reflector for participating members so they can share information or ask questions without overloading the Club Reflector. 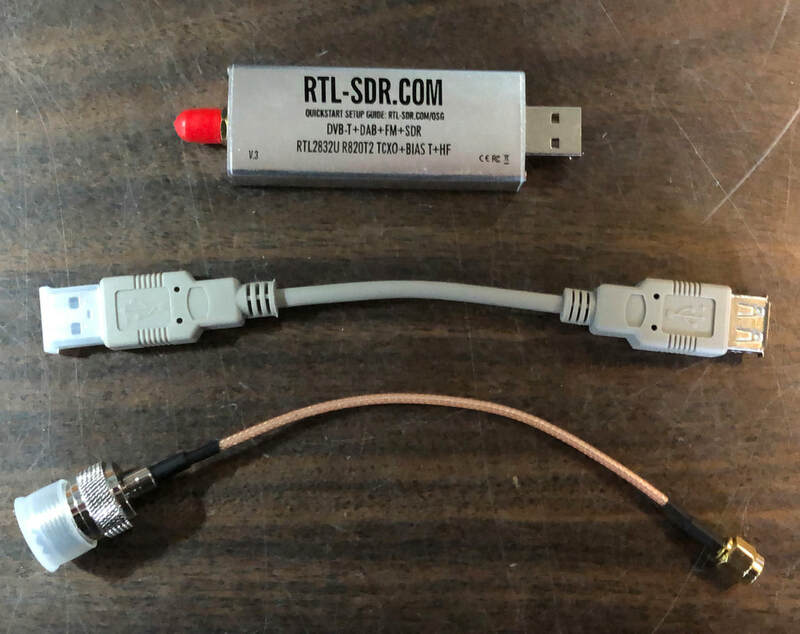 This is the RTL-SDR dongle many will be using with a short USB extender cable and flexible SMA to UHF antenna connection adapter. Make sure you get a unit that can receive HF if you want to use it in the lower ham bands. 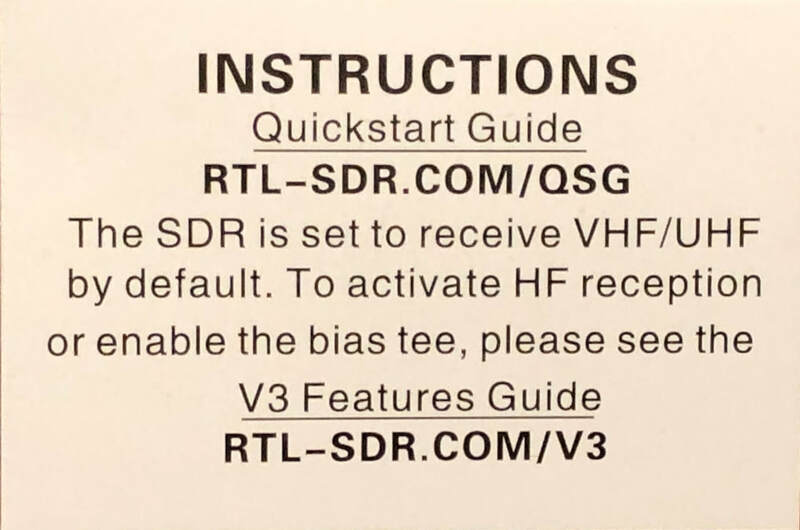 Both sides of the card that come with the RTL-SDR unit. It provides several references for installation and use documentation.